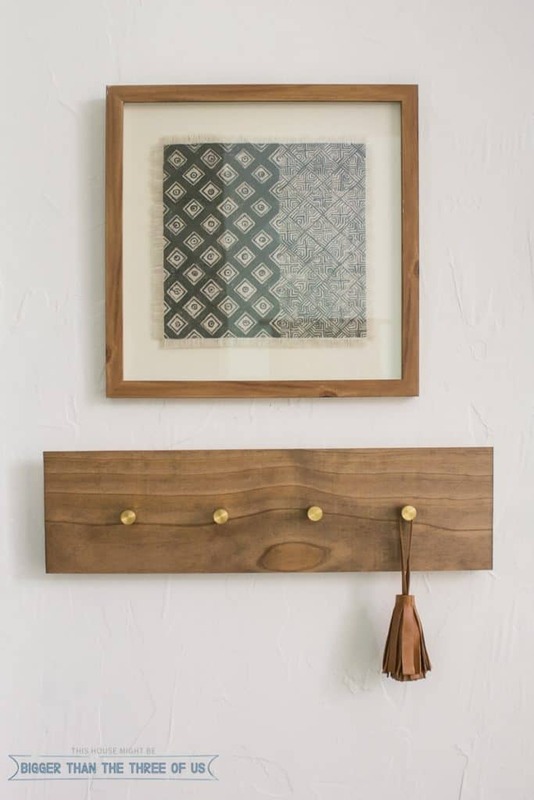 As I was styling the entryway, I felt like the space was lacking some texture. 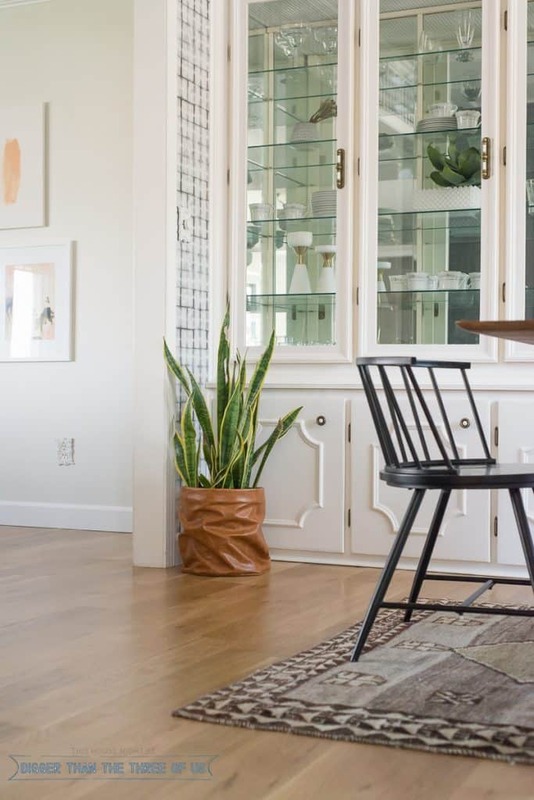 You might be surprised to hear, but I don’t have a lot of “extra” styling vases, decor pieces, etc. I do have a few things, but definitely not a ton. Anyways, tassels are everywhere these days and I’ve been crushing on them. 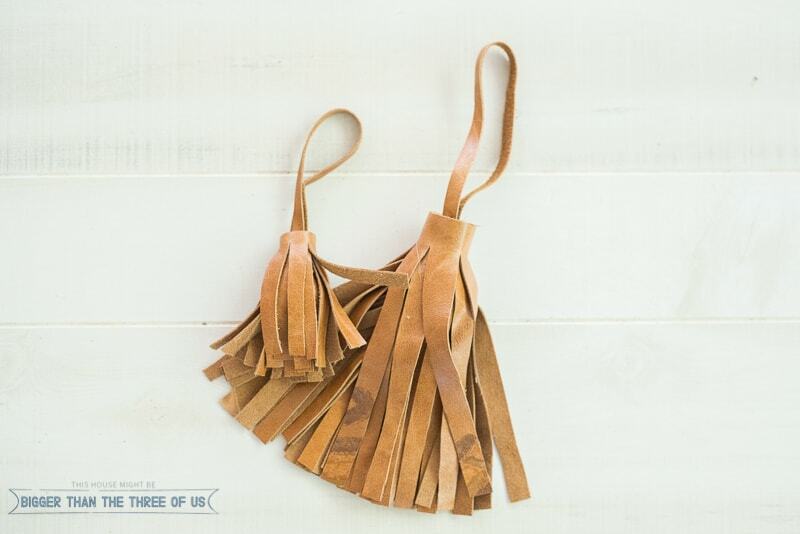 If I would have thought about using tassels in the space before the day I was going to shoot the space, I might have purchased one or two. But, I didn’t think about it, which ended up being a blessing because I got crafty for once and it was a success. 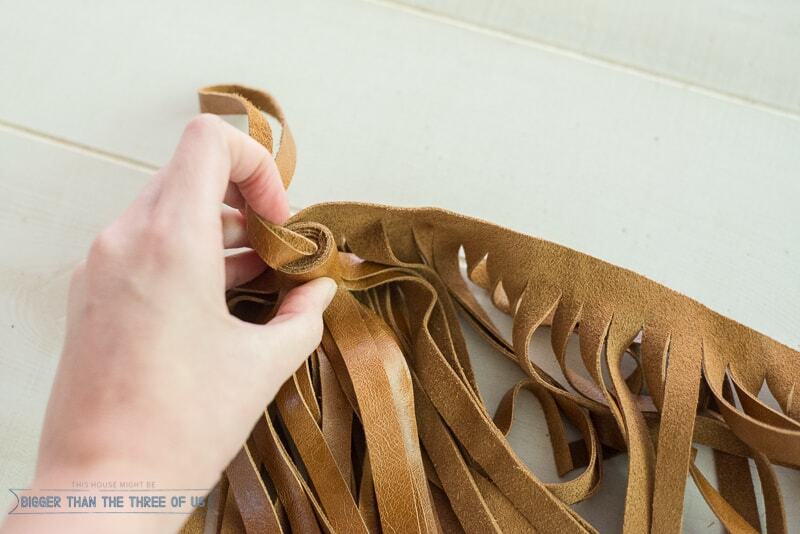 So, without further adieu, here’s How to Make a Leather Tassel! First things first, gather your supplies! Next, decide what size you want your tassel to be. 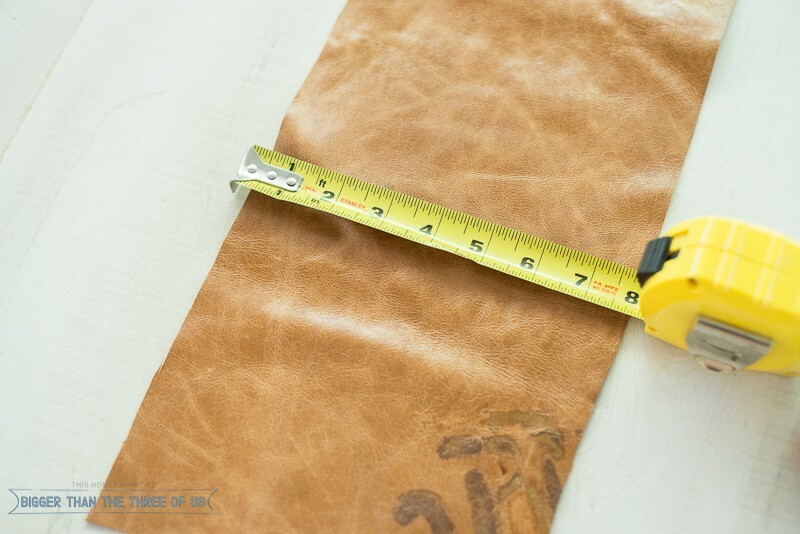 For my larger one (which is perfect for a doorknob), the fabric size was 8″ by 29″. I made a smaller one too and it was about 4″ by 15″. 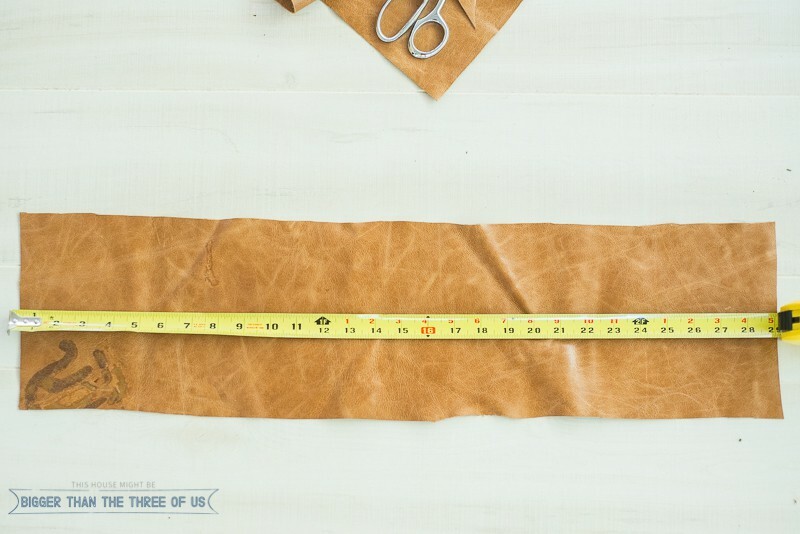 Cut your fabric to size and then start cutting little strips making sure to leave about ½” at the top that is uncut. 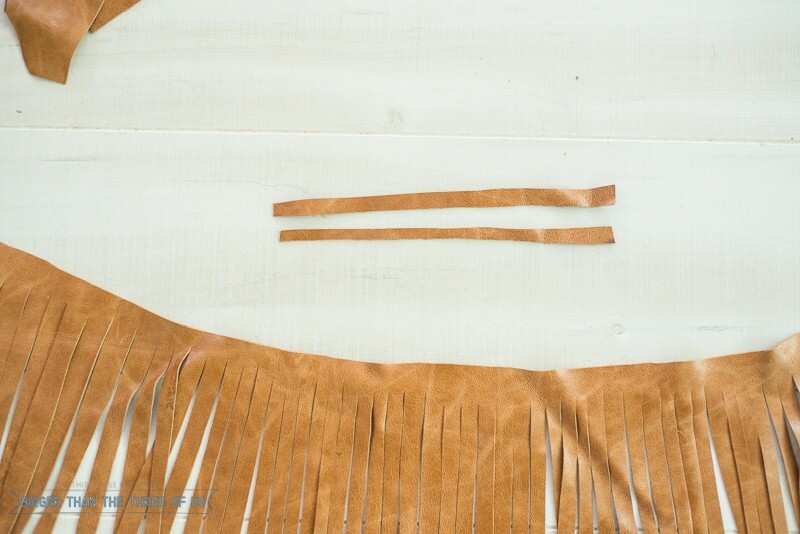 Keep going until the whole fabric piece is looking like fringe. 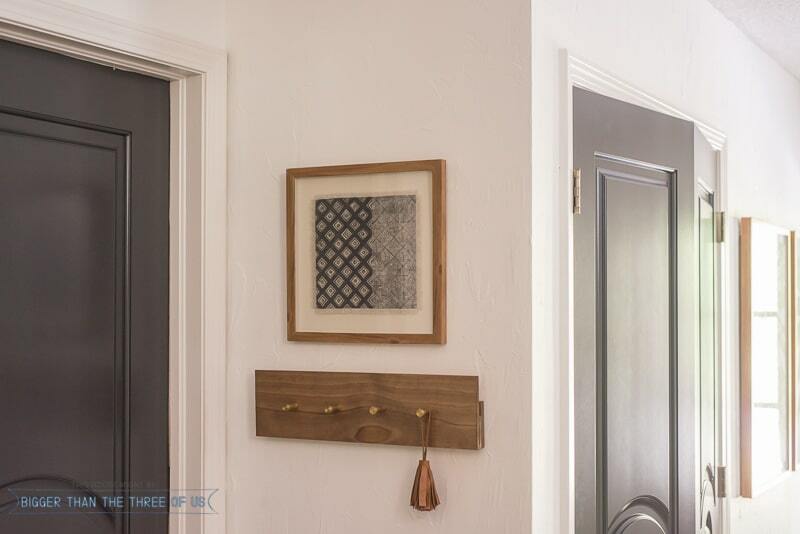 Cut a scrap piece for the tassel to hang. 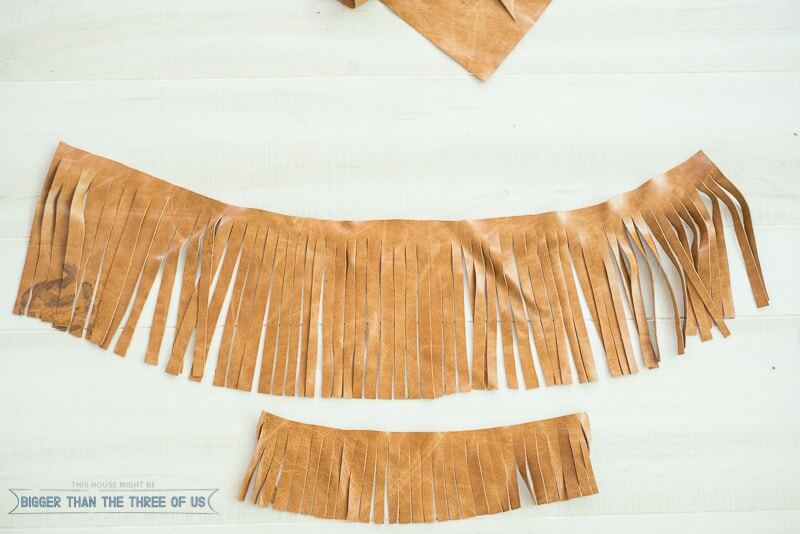 Using a hot glue gun, glue the scrap piece in a loop on the inside of the “fringe”. 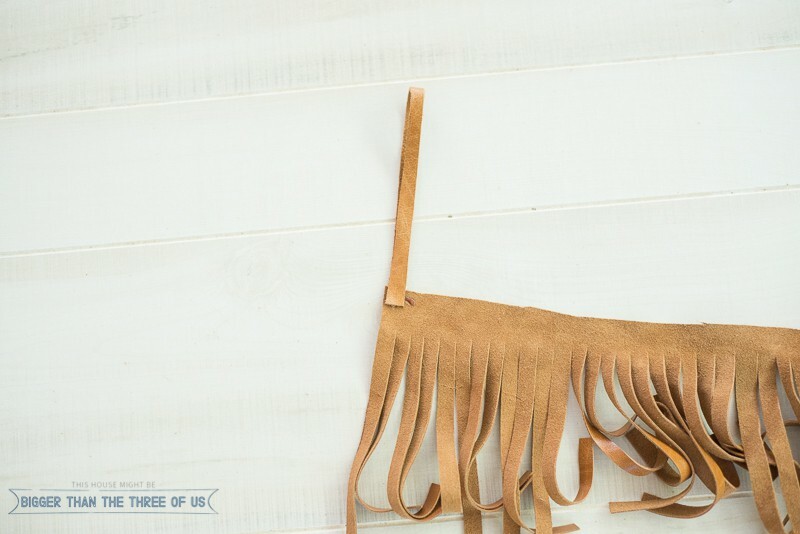 Start rolling your fringe together to create the tassel. Place a small bead of glue on the end to keep the tassel together. That’s it! 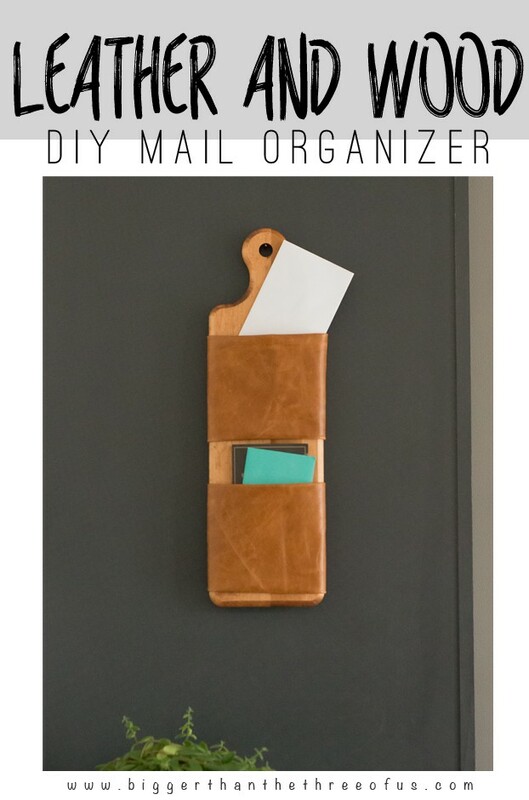 Super easy and fun. If you notice on my leather, I have some markings on the larger tassel. My leather piece had some imperfections in it, but I think that only adds to the charm. Don’t want to make at tassel yet you want one? 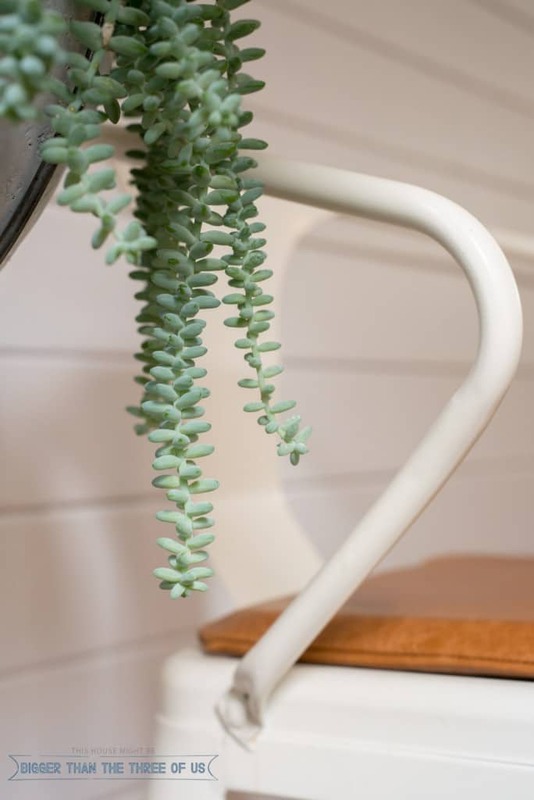 I rounded up some of my favorites! 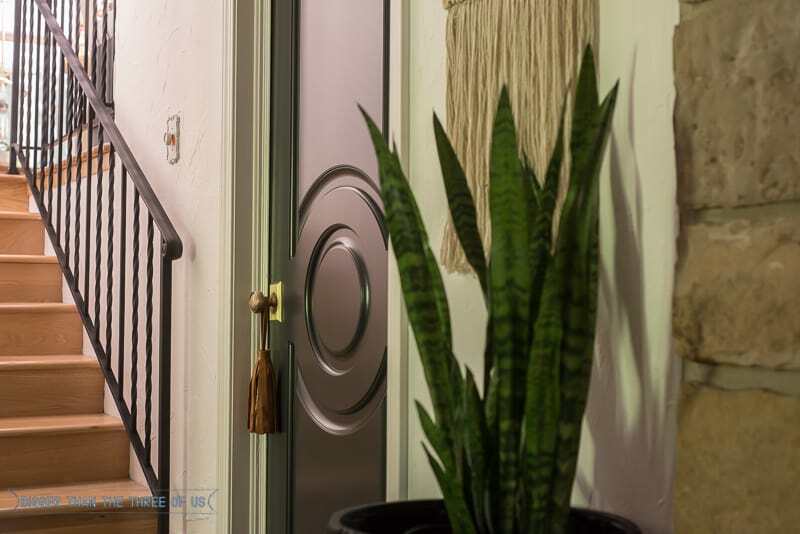 If you missed the Entryway Reveal, you need to go check it out! 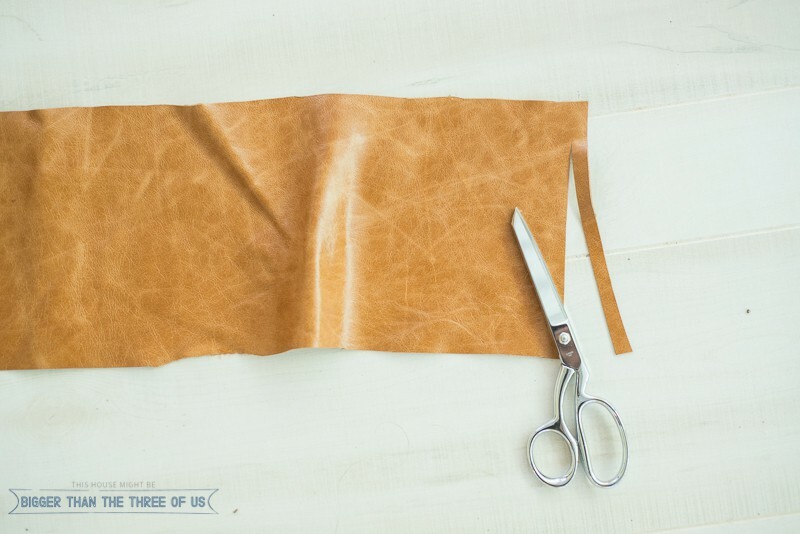 Also, I recently started adding some of my projects to DIY Idea Center and I thought to check and see if they have some good leather tutorials, and they do! You should pop over there to look at them.